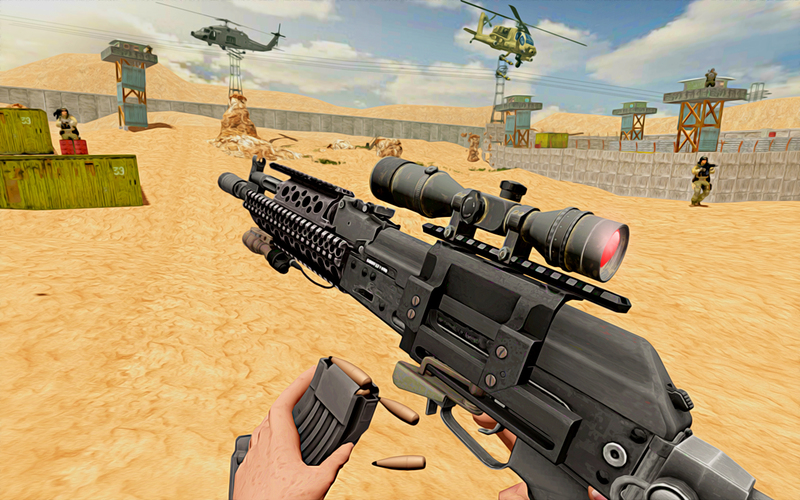 Modern Sniper Shooting Gun is a thrilling commando shooting game 2019 with a lot of amazing adventure and fun. 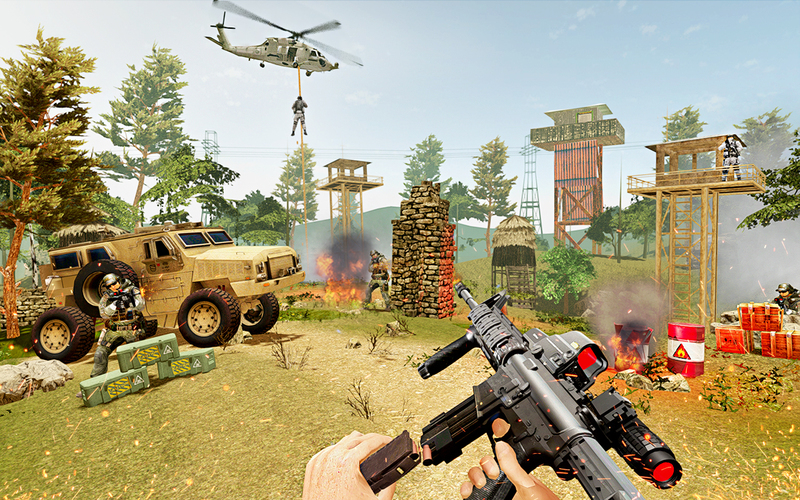 Commando New Ultimate Shooting Mission 2018 game is a real and very interesting war game. It's really shooting challenge for you to complete your target. 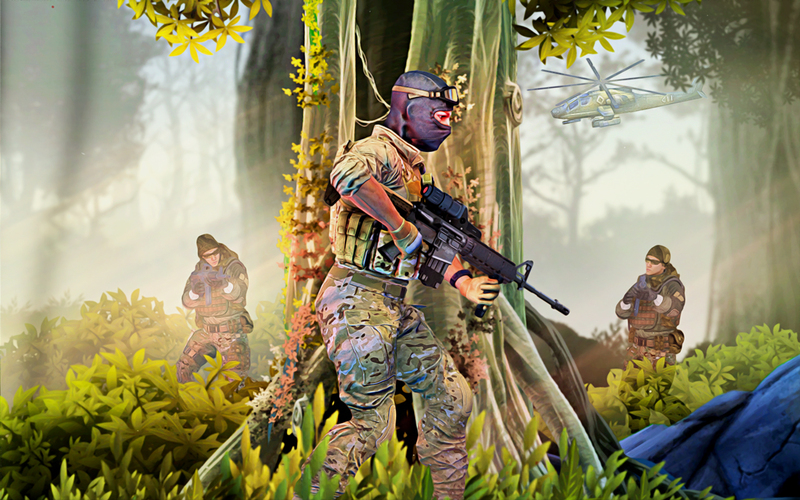 Face the challenging war while surviving in the many type's forests and deadliest jungles. 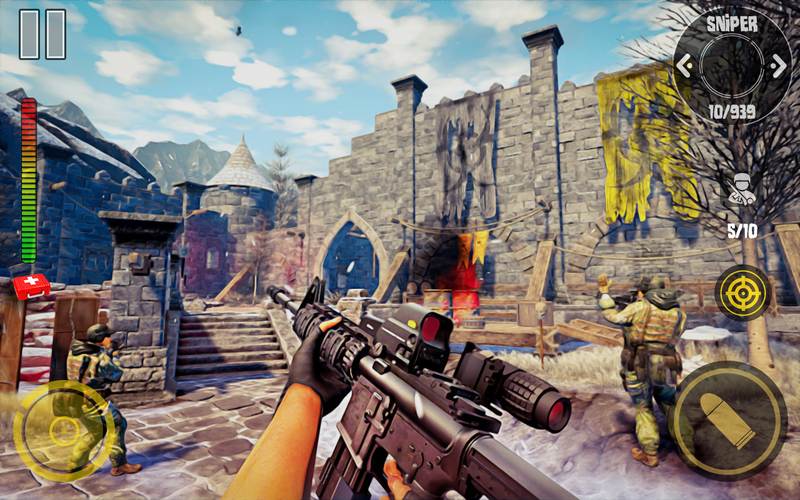 This is an amazing new idea Shooting Games Offline. 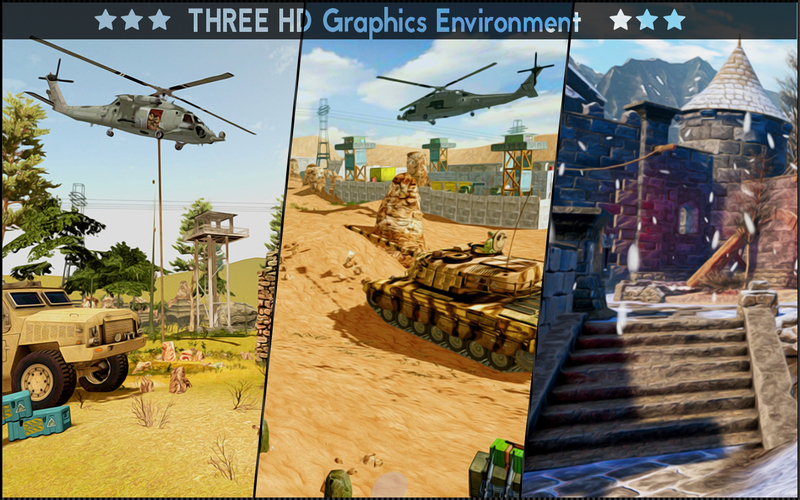 In this action game you have to do multiple fighting target being a commando shooter expert. 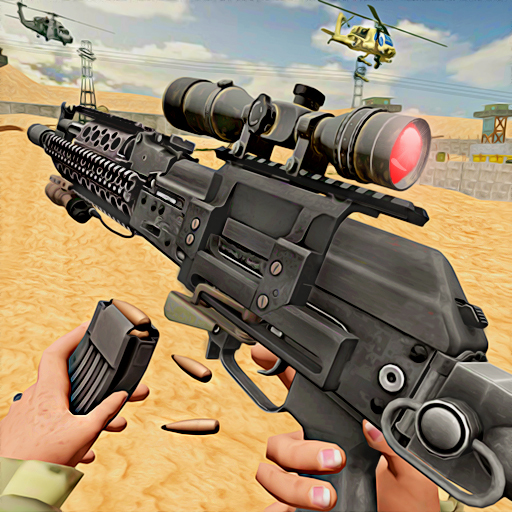 In this Modern Sniper Shooting Gun Game use your special army force commando skills and win commando shooting award 2019 and win the war. • Zoom Sniper scope from the right side to exact enemy target. 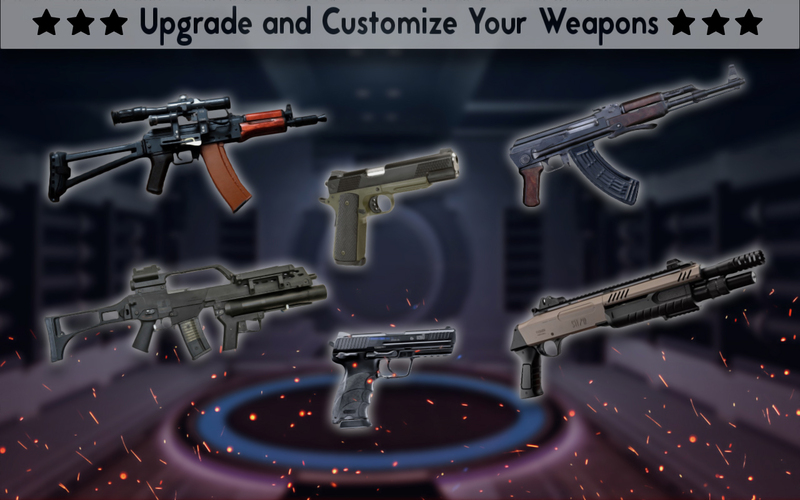 • In the Game play you have change shooting Guns from top right side on the mobile device. 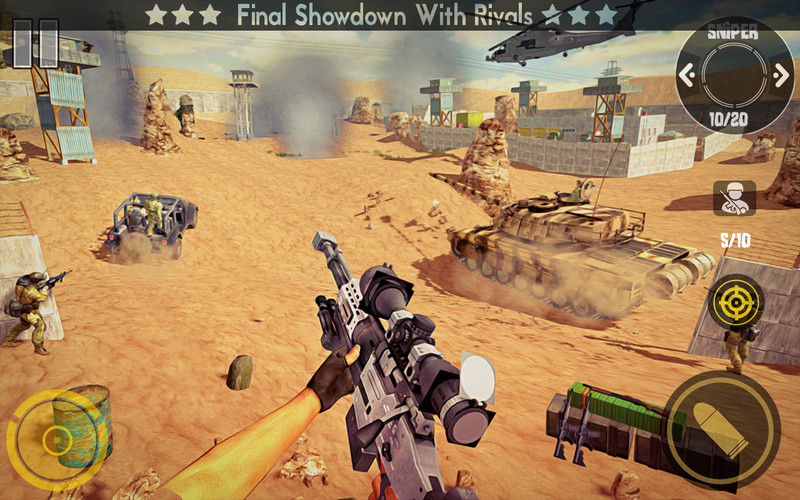 • It's totally free sniper 3D shooting game and easy to play. 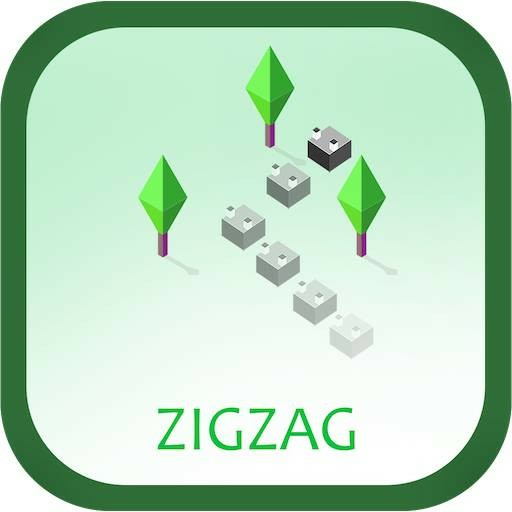 • Difficult Level to complete.